Posted on November 15, 2018 by Jonathan R. Grant, M.D., F.A.C.S. As the popularity of plastic surgery rises, so does the number of myths and misconceptions surrounding the topic. Mt. Vernon plastic surgeon Dr. Jonathan Grant, M.D., F.A.C.S., believes in providing patients with accurate and up-to-date information so they can make informed and confident decisions when it comes to their cosmetic goals. Here Dr. Grant clears up some of the most common myths about plastic surgery. 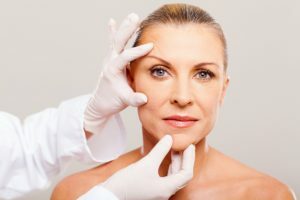 Yes, plastic surgery can be tremendously helpful in improving one’s appearance, but in some cases, it can also boost health and overall wellbeing. Procedures like rhinoplasty and blepharoplasty (eyelid surgery) are popular for cosmetic reasons but they also have functional benefits. Functional rhinoplasty addresses airway obstruction and other structural problems that interfere with proper breathing. Upper blepharoplasty can be performed to remove loose, drooping skin on the upper eyelids that hangs so low that it interferes with vision and makes certain activities like driving, dangerous. All surgical incisions leave scarring, but a skilled and trained plastic surgeon like Dr. Grant knows how to minimize their appearance so they are barely noticeable. Depending on the procedure, Dr. Grant may place incisions in natural skin folds or creases, behind the ears or within the hairline. To see examples Dr. Grant’s results, visit his before-and-after photo gallery. Men are undergoing surgical and non-surgical cosmetic procedures in record numbers. For best results, men should work with an experienced male plastic surgeon that understands the anatomical differences between men and women and knows how to make subtle improvements while preserving (and even improving) a man’s masculine features. It is very possible for both men and women to enjoy noticeable cosmetic enhancement without surgery. Dr. Grant offers an array of non-surgical procedures that do not involve the risks, side effects or downtime associated with surgery. Botox® and dermal fillers can soften the appearance of noticeable wrinkles, lines and other facial aging, while laser skin rejuvenation addresses skin problems caused by sun damage and aging. If you are interested in rejuvenating or refreshing your appearance with a surgical or non-surgical facial or skin procedure, schedule a consultation with Dr. Grant. You can reach us by calling or emailing our Mt. Vernon office today.